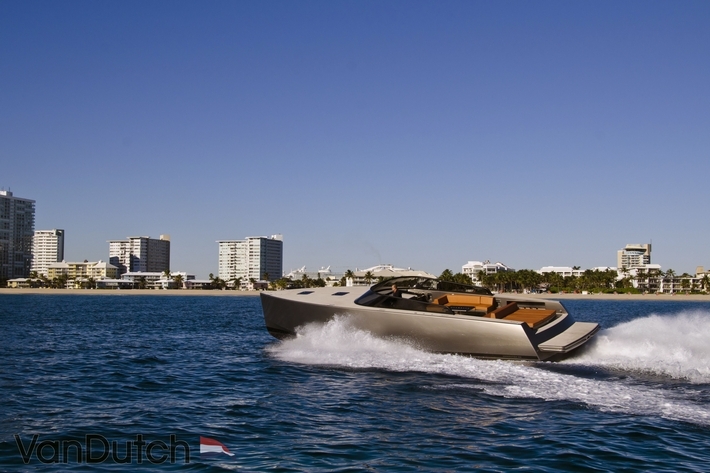 With eminent celebrities among its clientele and its name among the greats, “Van Dutch” and its boats are indeed stylish in their design. I heard that they have a female captain who was in the midst of promoting the company so I went to interview her. Our meeting place was at the port, and what greeted me was a dashing, shiny black boat with Ms. Louise Clark at the helm, a good-looking lady in a black uniform with her blonde hair held tight in a bun. With a warm smile, she invited us in. We watched her spectacular steering in fascination, and off we went to the open sea! Firstly, why did you choose this job? Ever since I was little, boats were familiar to me so it was quite inevitable that I would be interested in this job. Yachts are popular in Australia where I was born and raised, and I was always playing by the beach. I’ve experienced all kinds of jobs, even being in a yacht with 20 crew members in Antibes. Ever since that job, I’ve wanted to be a captain! But it’s very difficult for a woman to be a captain. I’m very grateful to those female captains whom I’ve met throughout my career who paved the way for me. 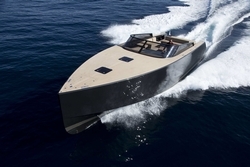 What’s the appeal of a yacht? It’s probably being in the middle of nature. There are dangers of course but everyday I learn something new. Not just about yachts, but about myself too. That’s what I love. In your opinion, what kind of woman is a lovely woman? One who tries her hardest in doing what she loves. I think that that kind of woman is indeed radiant. All of us who were in the yacht that day fell in love with her who still shines as a woman while being immersed in a harsh world. Copyright © 2012 Nstyle. All rights reserved.